If there was a shortcut to parenting, I thought I would have found it by now. I haven’t . . . not even close. But that doesn’t mean I haven’t tried. And it doesn’t mean I haven’t failed. Still we all keep looking and hoping, don’t we? Baby music classes do not give our kids a fast-track to music scholarships in college. T-ball at age four doesn’t mean the pros at twenty. Reading a Bible story at bedtime every night won’t lead us to growing a godly teen. There are no quick fixes, perfect extracurricular actives, or even right methods of spiritual guidance that will result in perfect kids. We cannot skip the rough stuff in life and move directly to GO to collect our rewards of growing godly adults. Don’t we wish it was all that simple? The right preschool will not make up for time with parents, learning about life, relationships and caring for God. The right moral stories will not make up for serving as a family, discovering there are real people behind the “issues” who need a helping hand, who need hope. Even great biographies of heroes of the Christian faith cannot fill in for models of godliness. Instead, children need to see parents on their knees, crying out to God and discussing how God’s truth overcomes the world’s lies. Yes, it’s important to share stories of Christian faith (I’ve even written a book for that! ), but Mom and Dad—your story is the most important one your child will read . . . and they read it in real, living, breathing flesh. 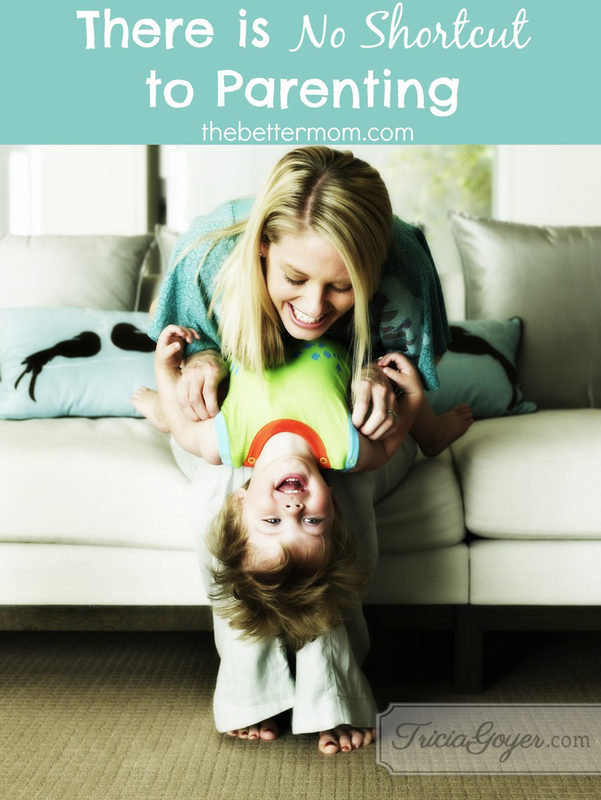 Read the rest of this post over at thebettermom.com and download the printable!